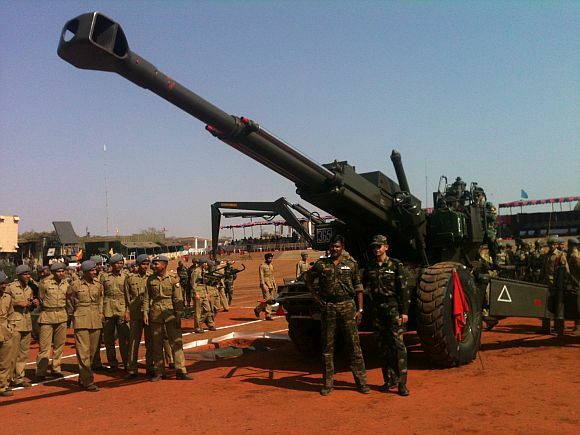 Truth by Kbaig: Failure of Dhanush Artillery Guns: A Big Blow for Indian Army! 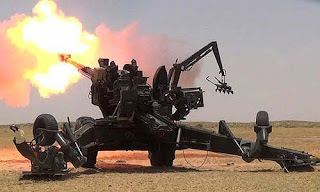 Failure of Dhanush Artillery Guns: A Big Blow for Indian Army! 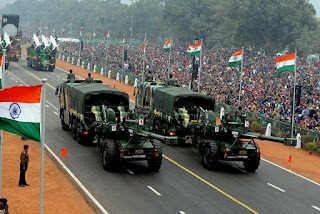 On 26 January 2017, on the Indian Republic day, Indians displayed Dhanush Artillery guns a developed form of Bofors guns. These guns were said to have created a new history in the artillery leaving behind the world artillery guns manufacturers. 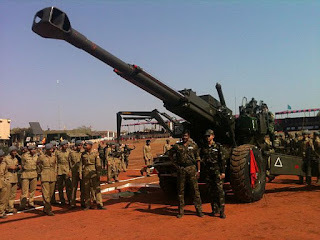 Two weeks ahead of the show of the guns, Indian media was praising the guns; Indian media was claiming that Swedish made Bofors guns have been reinvented by India creating a new history of the Artillery. In March 1986, when India purchased Bofors guns from Sweden, it was posed like that Indian Prime Minister Rajeev Gandhi has done a great service to the Indians because he succeeded to buy Bofors guns from Sweden despite of opposition of USA, France and Germany. The deal was for 410 guns of 155 mm diameter for 1.4 billion dollars. When these guns reached India, a great event was organized to make these guns part of Indian army in which Swedish Foreign Minister participated along with a big delegation. Indian Prime Minister was the Chief Guest of the ceremony. The celebrations of the purchase of these guns have not ended, on 16 April 1987, a video report was leaked in the Sweden claiming that Indian Prime Minister Rajeev Gandhi along with Indian Defense Minister and Secretary for Defense along with Indian Army Generals received commission for the deal of purchase of Bofors guns. The news was reported in detail by The Hindu claiming that the journalist reporting the corruption has the 350 documents as evidence of kickbacks received by Indians. According to the report the details contained the procedure, and place of payment of commission. The report became a big financial scandal. The discussions started in the Sweden that why such a big amount of 9.9 million dollars was paid to Indians as commission? Dhanush-155 mm artillery gun. Indian army reportedly rejected the gun and have declared the trials as Total Failure. Gandhi’s govt. succeeded in India to suppress the analysis and new reports on this scandal. But the scandal continued in Sweden; during investigations it was revealed that not only Bofors paid the commission to Indians but other countries as well even within the Sweden. On the reports of the investigations from Sweden, Indian govt. black listed Bofors for bad reputation in order to safe the image of Indian govt. among Indians. Congress and Rajeev Gandhi wanted to keep the commission. In May 1991, Rajeev Gandhi was killed in a suicide attack by Tamil woman belonging to Tamil Tigers of Tamil Nadu but the commission he received from the purchase of Bofors guns did not leave him. When BJP came into power, it not only created hard times for Congress for corruption, accounts of Rajeev Gandhi in Swiss banks and started working to bring back the black money. BJP had two goals; defame political party for kickbacks and corruption and take the money in the undeclared Swiss accounts of Rajeev Gandhi. 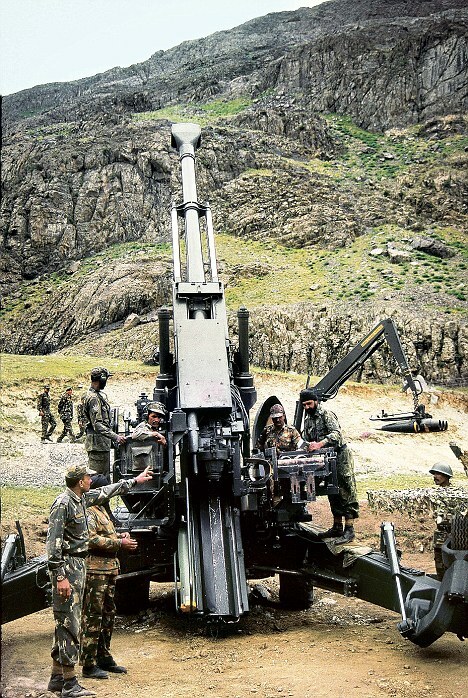 After 1999 Kargil war, retired and on duty Generals of Indian army succeeded to convince BJP that due to the Bofors guns, Indian army succeeded in taking back the control of Kargil from Pakistan. So Indian govt. removed Bofors from black list starting further deals. BJP decided to upgrade Bofors guns keeping in view the defense needs of Indian army. It was decided that guns would be manufactured in India. In June 2015, when the deal for the production of guns was started it was decided that at the cost 140 million rupees per gun, 414 guns will be manufactured till 2020. The purpose was to show the world that India has become independent in manufacturing weapons. Indian Defense Research and Development Organization, Indian Dianalux, Indian Earth Movers, Indian Electronics, Indian Ordinance Board, private groups like Tata Group, Mahindra Group, Reliance Anil DheruBhai Ambani Group, Goraj etc. were also included in the manufacturing of the guns. When the production of guns started, 9 guns were handed over to 14th Corps Odhampur under Indian Northern Command in January 2017. On the Democracy day it was told that Bofors guns range was only 27 kilometers while Indian Dhanush range is 38 kilometers. It should be kept in mind that 14th Corps was established after Kargil war. That is why this corps is given much importance in Indian defense groups. The Dhanush guns were showed of proudly however when these guns were put into test in the Himalayan mountains their flaws came to light. One is that while firing the shell, gun gets extraordinary jerk moving the front end of the gun due to which the shell fails to reach the target. Although the jerk during the fire of artillery guns is a routine but the length of guns barrel and speed of the artillery shell is calculated in such a way that shell reaches its target. The second fault is that when gun’s barrel recoils after firing the shell, the mechanism to suppress the recoil using mixture of gas and oil fails as its seals blasts away due to which gun becomes useless to fire the second shell. Bofors guns used the Russian made recoil system but India wanted to be proud of MADE IN India. Engineers visited the field on the faults identified by 14th Corps, they were unable to solve the problems and asked 14th Corps to return the guns. 14th Corps told their commander Lt General Punnu that Dhanush guns are useless which is being termed as a big blow for Indian army. Although Indian Defense Minister silent and Indian media is not giving any reports as well; One should ask Indian Army Chief that Indians who have failed to manufacture an artillery gun than what is the status of his threats to Pakistan?? ?